Robert Gibson, once a Harlem Globetrotter, pitched for the St. Louis Cardinals from 1959 until he retired in 1975. Known for his fastball, he struck out 3,117 batters. In his 1968 MVP season, Bob Gibson pitched 28 complete games and 13 shutouts while setting a National League record with a 1.12 era Pitching in three World Series, Gibson was the MVP of the Cardinals’ two championships. His Series records include seven consecutive complete–game wins and 17 strikeouts in one game. Winner of nine Gold Gloves and two Cy Young Awards, he was also a feared hitter. 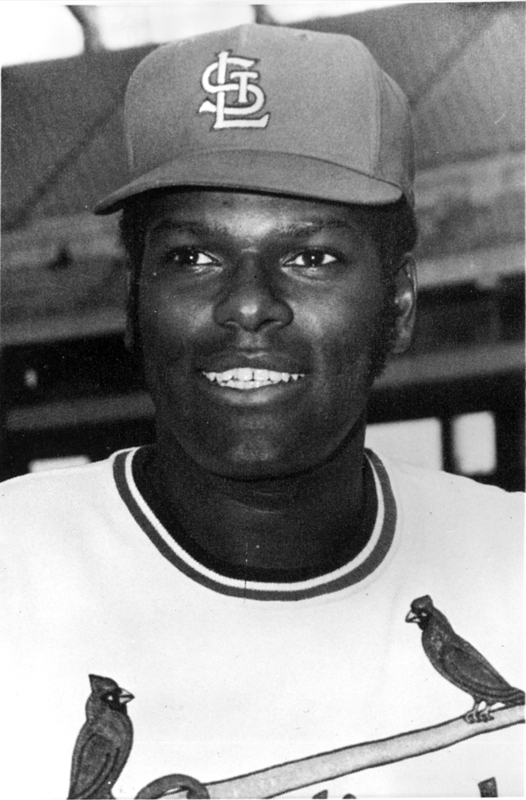 In 1981 Bob Gibson was inducted into the Baseball Hall of Fame.